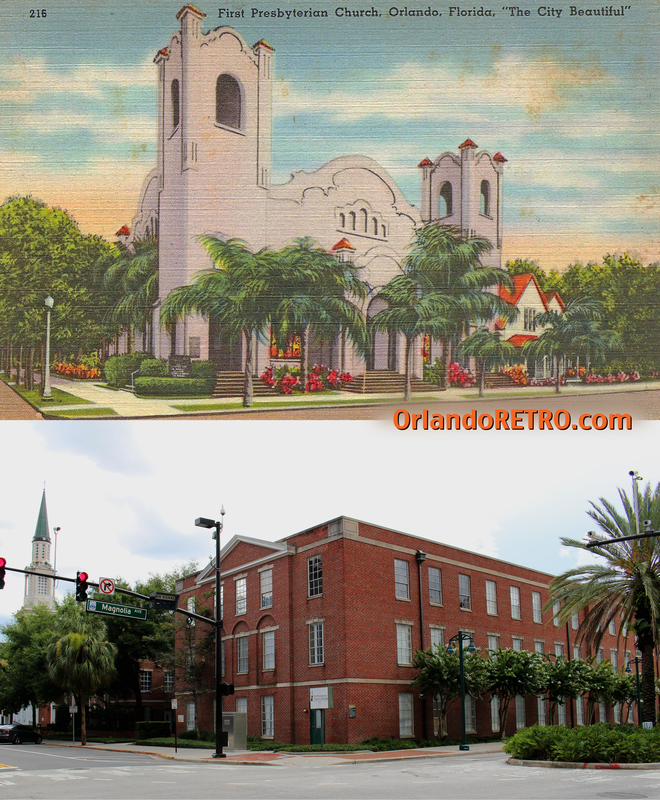 From 1924 until 1990 this corner of Orange Avenue and Colonial Drive belonged to the Orange Court Hotel. The Camden Apartments and the Residence Inn (under construction) towering over and just inches away from Mama B’s Subs are the newcomers. 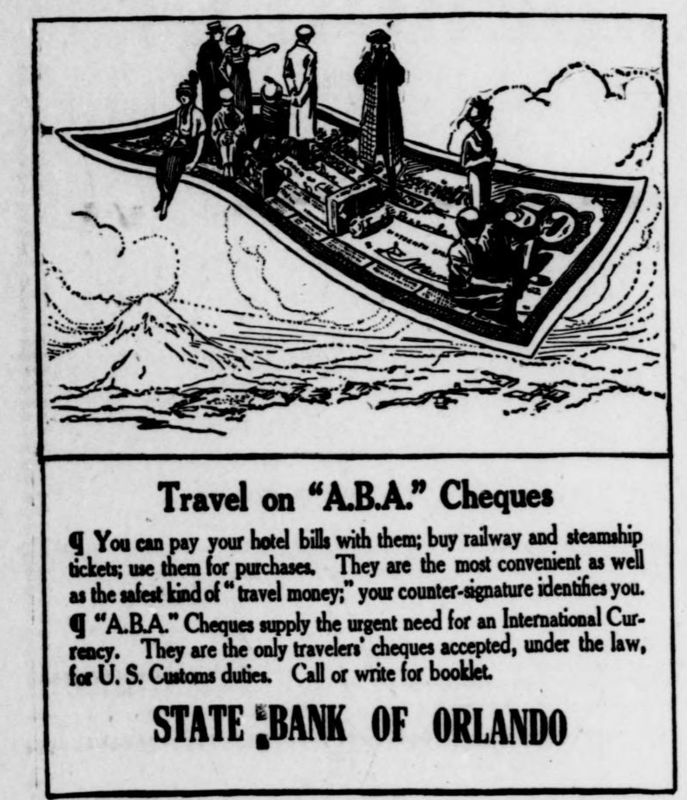 Times were good in Orlando in the early 1920’s. A new 275 room hotel opened and brought another stylish Florida hotel to Orange Ave. The Angebilt and San Juan hotels were just blocks away. The new Orange Court Hotel was a resort destination with its Mediterranean architecture. G. Lloyd Preacher from Atlanta was the architect. His other works included Atlanta City Hall and the Briarcliff Hotel in Georgia. 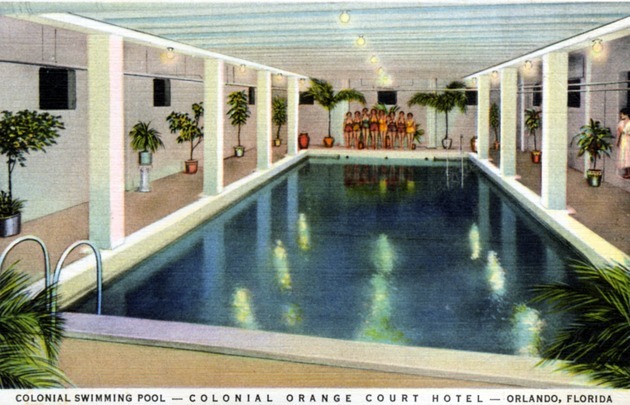 Guests of the Orange Court enjoyed Orlando’s first indoor pool. The pool was, of course, steam-heated for those cold Florida days. 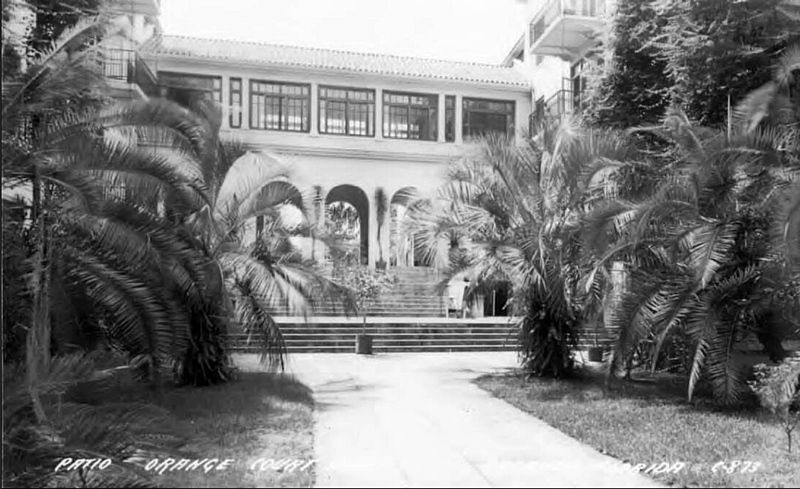 The buildings surrounded a tropical courtyard landscaped with palms and orange trees. Overhead the rooms had private sun balconies naturally decorated with growing jasmine and the bright red flowers of flame vine. Wrought iron chandeliers welcomed guests into the lobby on their way to the ballroom, lounge, and restaurants. 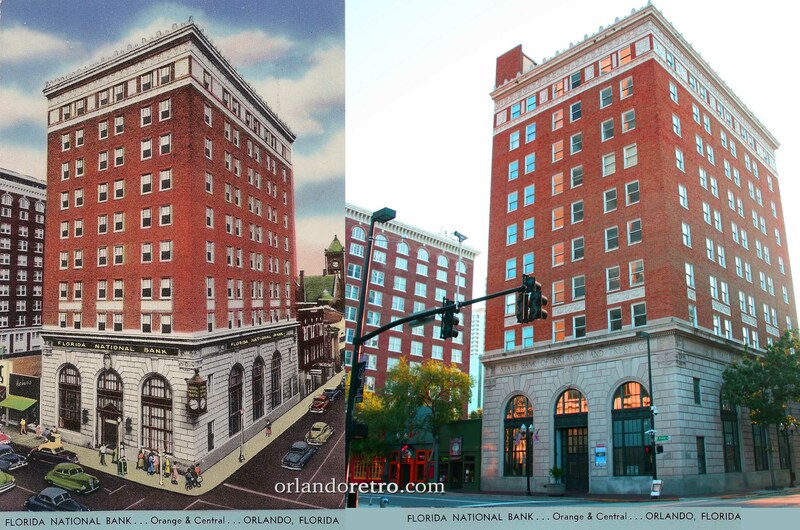 Throughout the years, Orlandoans came here for banquets, receptions, and businesses meetings such as an annual citrus industry meeting. In 1944, WDBO temporarily broadcasted from the Orange Court after a hurricane destroyed their studio down the street at the Angebilt. 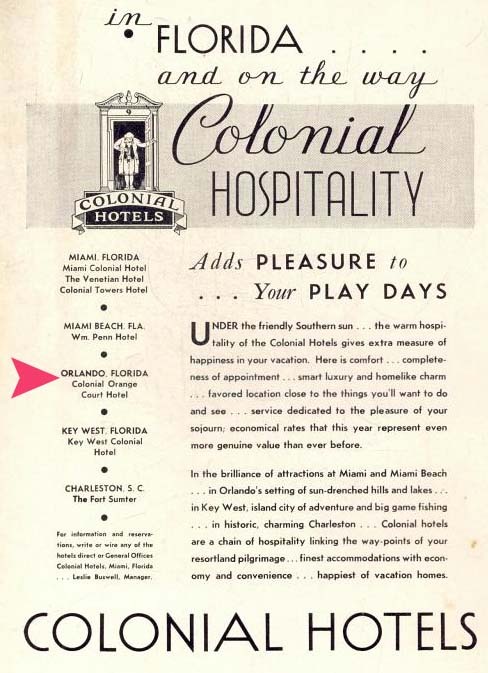 For a time, it was owned by Colonial Hotels, a chain that included the Key West Colonial (La Concha) as one of its properties. The Orange Court faced business challenges early on. Not long after opening, a real estate bubble popped for the first time in Florida. Ownership would change hands seven times between 1924 and the 1960’s. 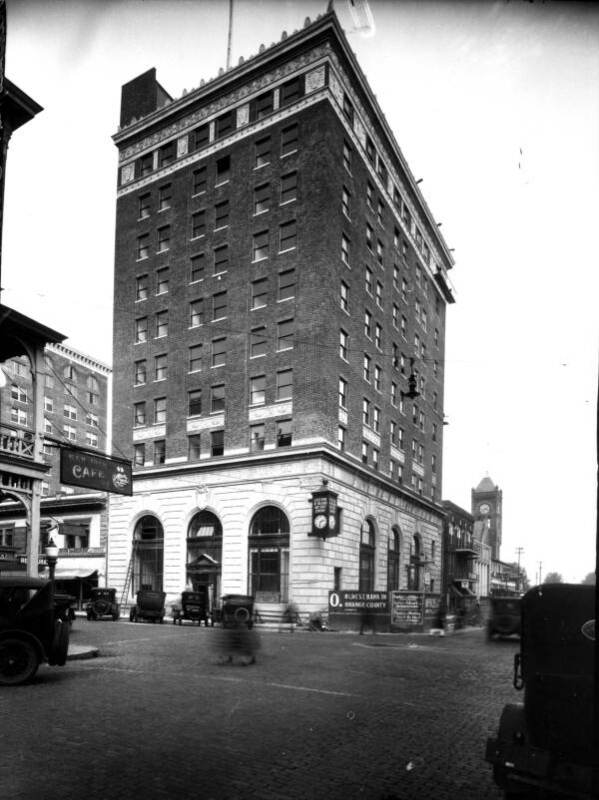 The hotel closed for about a year in 1963. The following year it reopened owned by A.C. Kavli, who would own it until his death in 1985. 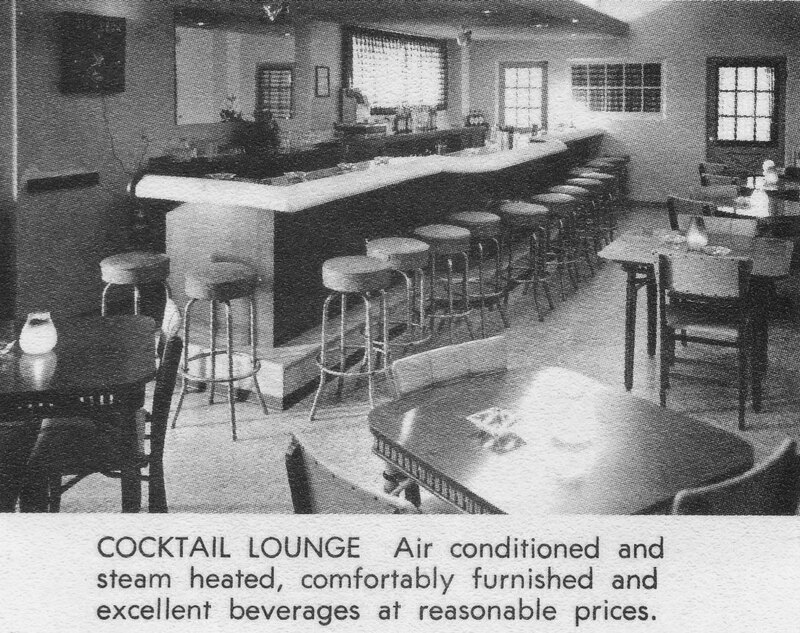 Efforts to save and renovate the Orange Court never materialized, and the building was demolished in 1990. Today the Orange Court is not completely forgotten. 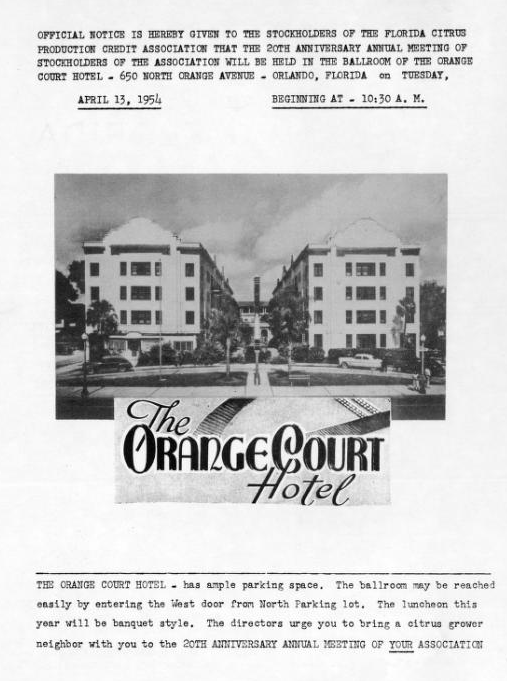 The apartment complex on the site shares part of the name (Camden Orange Court Apartments) and has a large picture of the old hotel on the side of its parking garage. The neon sign from the hotel is in storage with the Morse Museum. 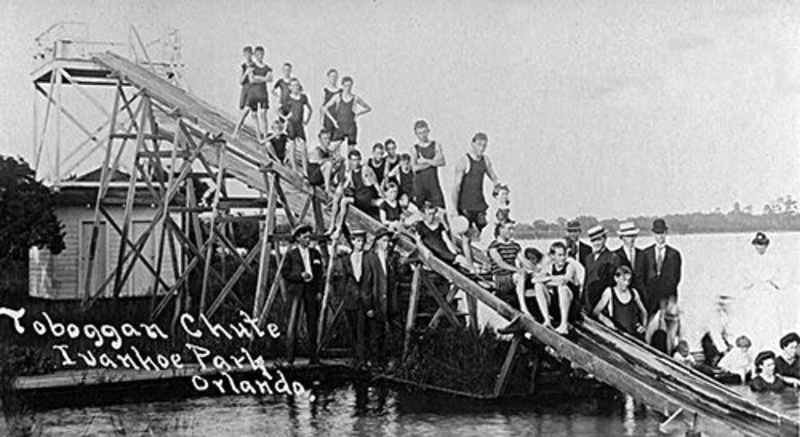 Very few organizations in Orlando date back to the 1800s. Many of the ones that do are places of worship. Several local churches’ roots date back to the years between the Civil War and Grover Cleveland’s presidency. 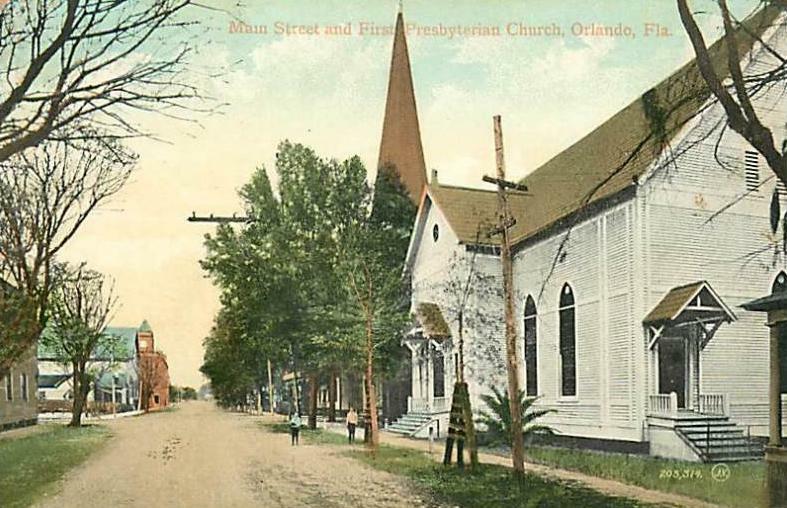 The Orlando churches on the 100+ year list include St. Luke’s Cathedral (1892), First Baptist (1856), United First Methodist (1859), St. James Cathedral (1885), Mount Zion Missionary Baptist (1880), and First Presbyterian (1876) pictured above. In the 1870’s local school was held during the week and several churches met on Sundays in a facility called the “free school” or “free church” building. This is where 11 Presbyterians began meeting in 1876, before building their first church on Central Avenue around 1884. About 5 years later, the new church was lost to a fire. The displaced church group met in the county courthouse and at the opera house for a few years. With over 100 members, they bought land and built a new sanctuary at the corner of Church and Main (now Magnolia) in 1889. Now 125 years later, they are on the same property. 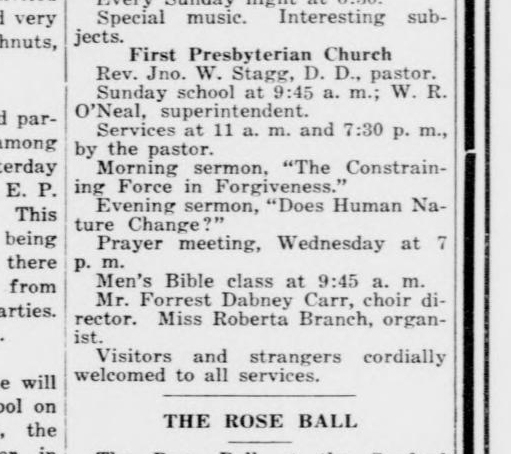 From the 1914 Morning Sentinel “Visitors and strangers” were welcomed to all services. 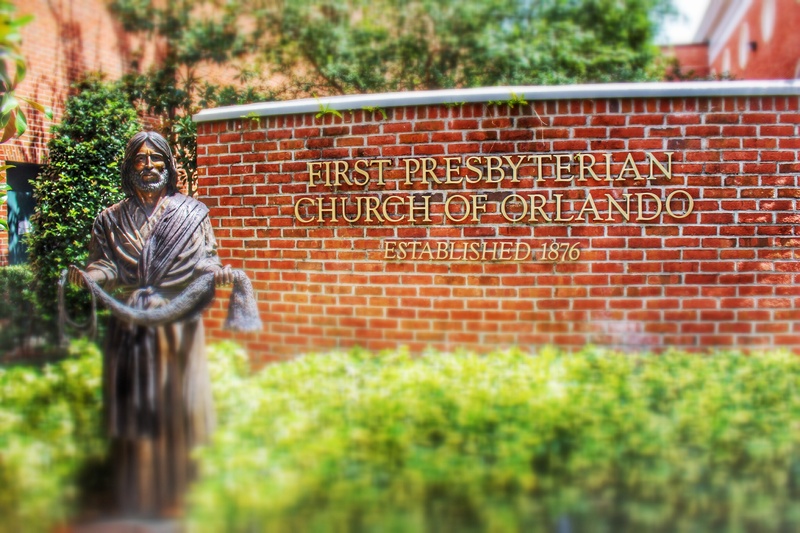 As Orlando grow, the wooden sanctuary needed to grow. They remodeled and added stucco to the structure in 1915. 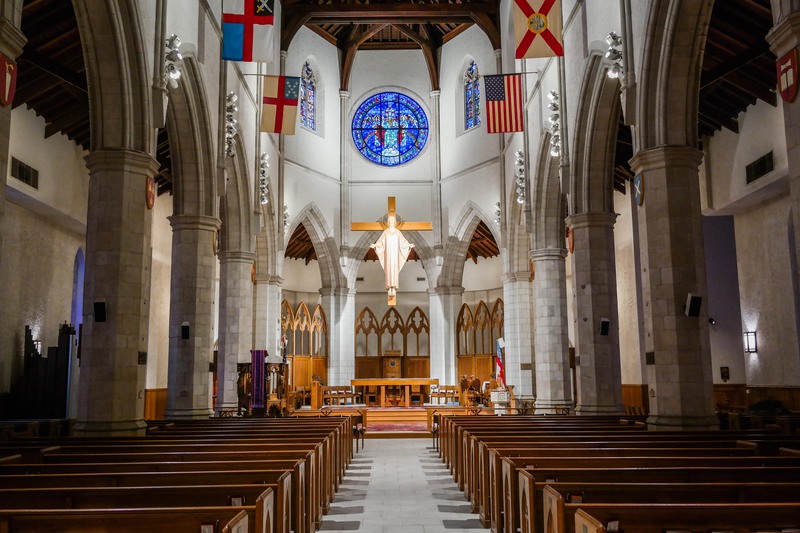 Within 40 years, the congregation again outgrew their space. 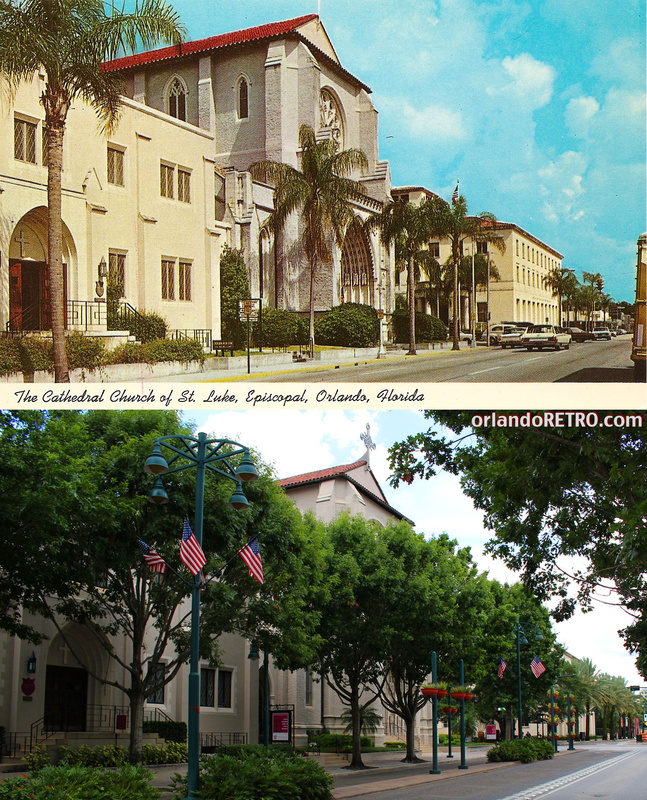 A new sanctuary opened facing Church Street in 1955, which stands today. The church built Yowell Hall on the spot of the original 1889 building. The hall is named for Newton Yowell. 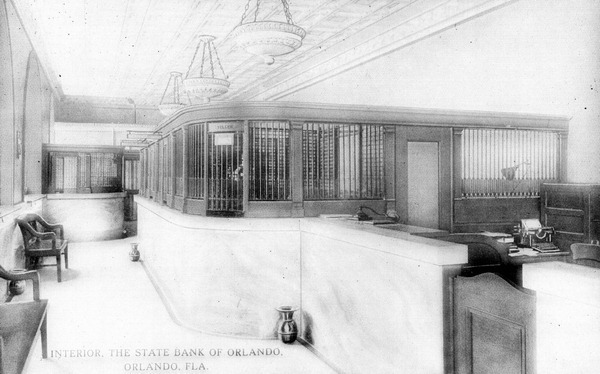 Mr. Yowell was an important business figure in early Orlando. 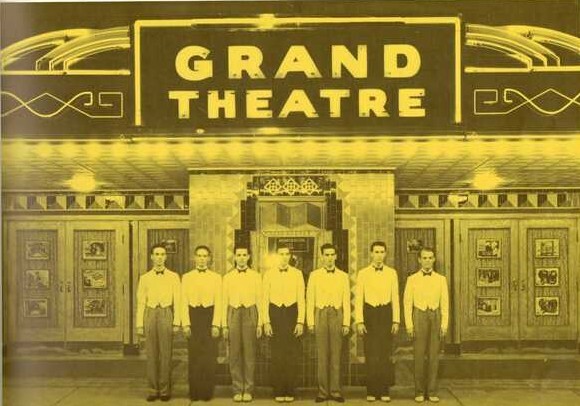 He grew his dry goods store into the 4-story department store at 1 South Orange Ave in the Yowell-Duckworth Building. Later he served on the boards of Rollins College and Orange Memorial Hospital. Mr. Yowell taught the young men’s class for over 40 years at the First Presbyterian. 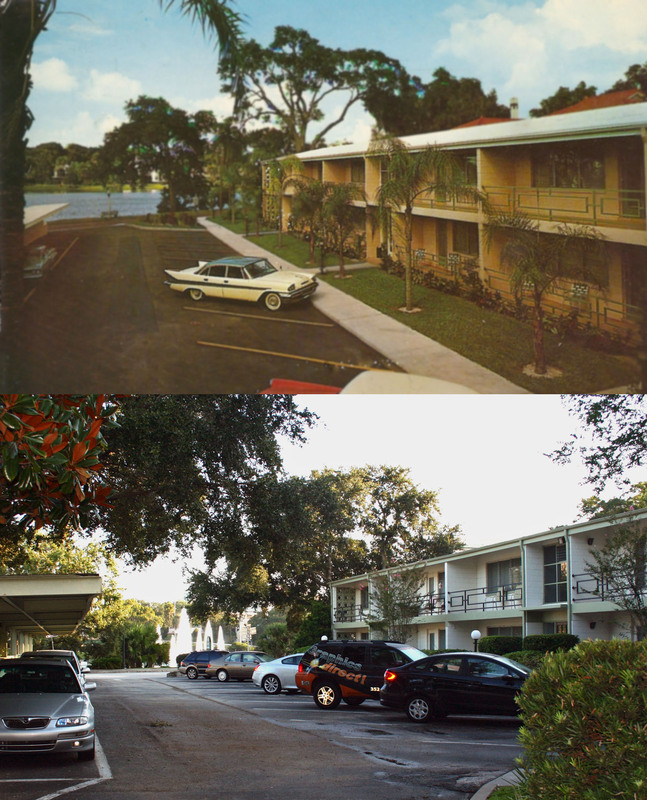 Lucerne Garden Apartments have changed little, while the view changed substantially. 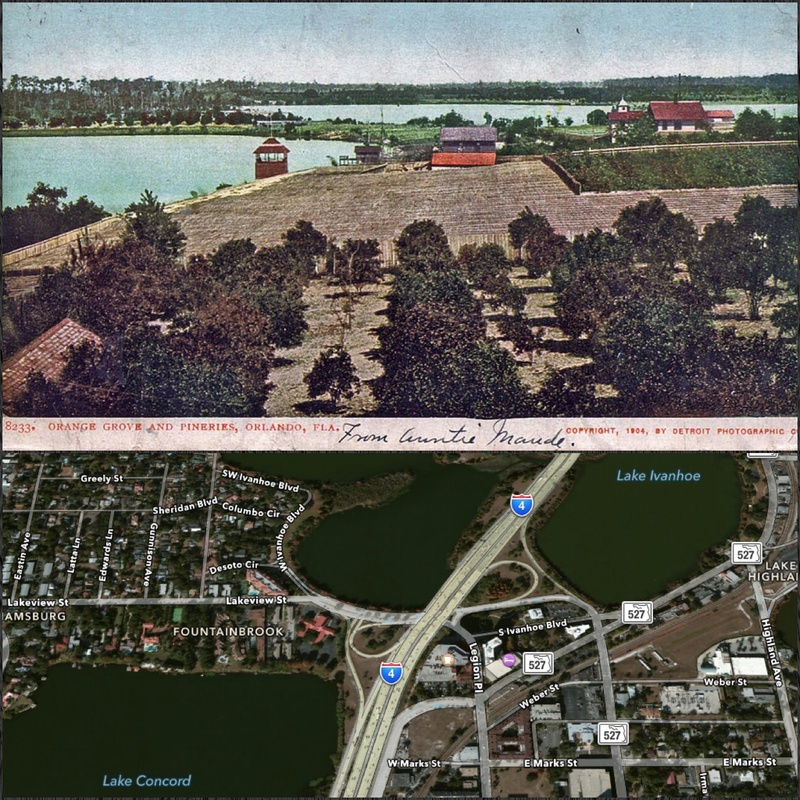 The Lucerne Gardens apartments have been located on the southern end of Lake Lucerne for over 60 years. The apartment exterior looks much as it did in the mid-1950’s. 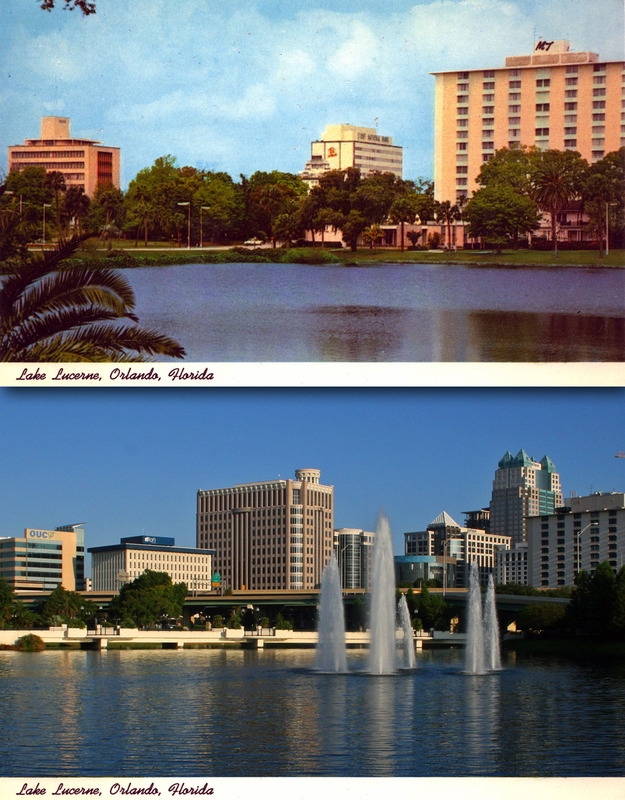 Its great view of the Orlando skyline has experienced quite a bit of change in these decades. The historic home of Dr. Phillips is obscured by the 408 running over the north shore of Lake Lucerne. Much larger buildings stand in the distance than what a residents of past decades saw when looking across the lake. 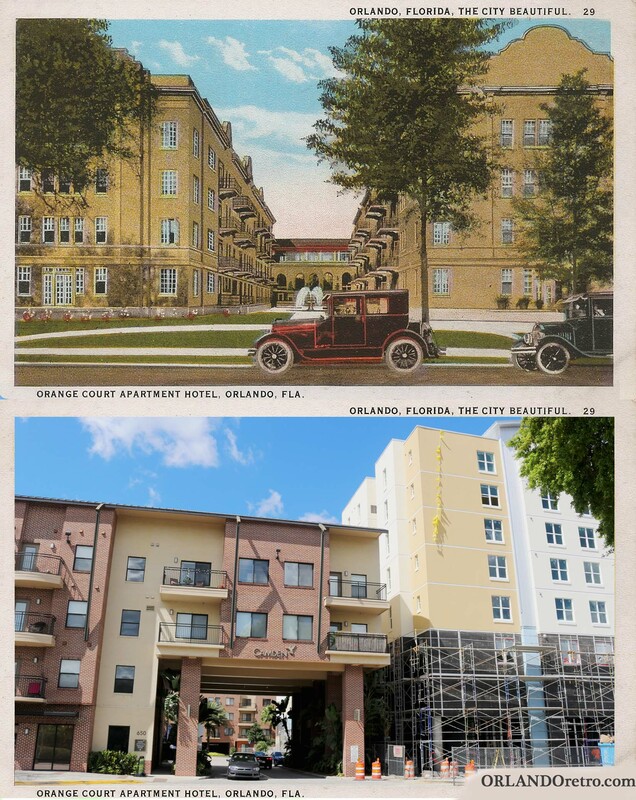 Still the Lucerne Gardens are a small remaining piece of 1950’s Orlando. 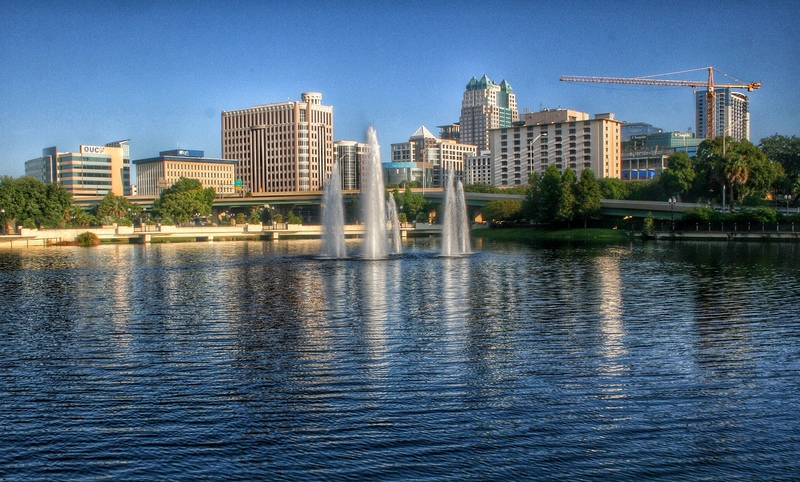 We all know the fountain in the middle of Lake Eola — the one surrounded by swan boats and serves as a city icon for Orlando. That fountain is the Linton E. Allen Memorial Fountain, better known as the Centennial Fountain. However this post is not about that fountain, this is about its less popular sister, the Sperry Fountain. 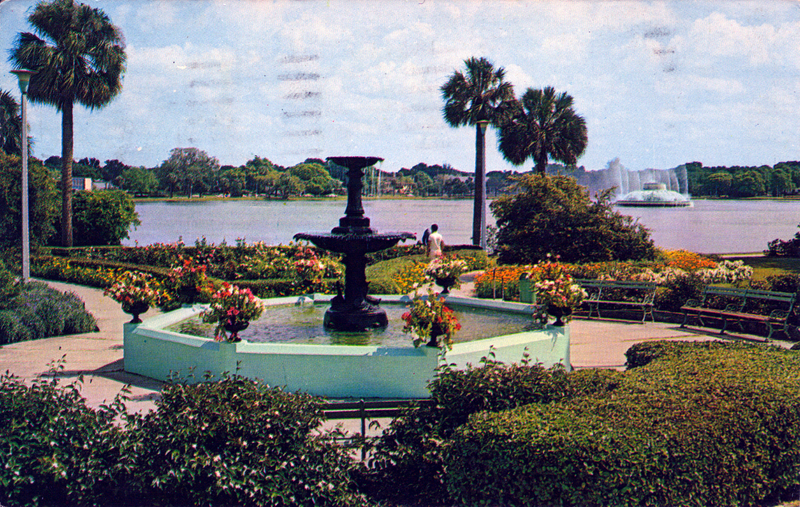 Not much attention is directed toward the Sperry Fountain, which has been part of the scenery at Lake Eola for a century. 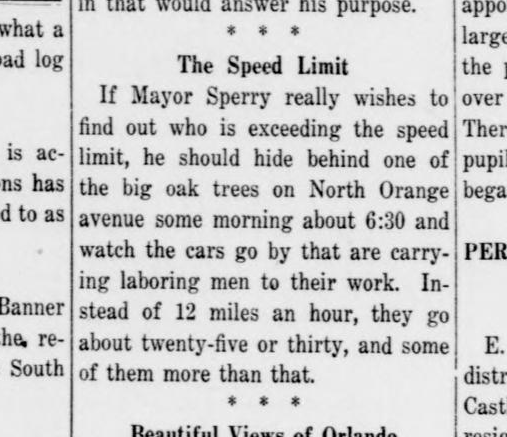 An Orlandoan gives Mayor Sperry advice on cars speeding down Orange Ave.
E. F. Sperry was one of Orlando’s pioneers. 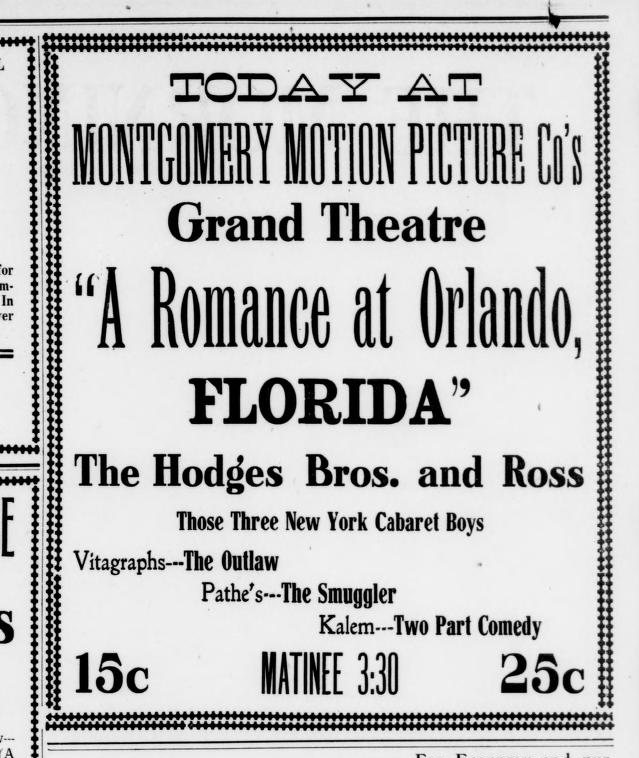 Originally from Connecticut, he moved to Orlando in 1885 after vacationing in the area. Within a year of moving here, he co-founded the South Florida Foundry and Machine Works. 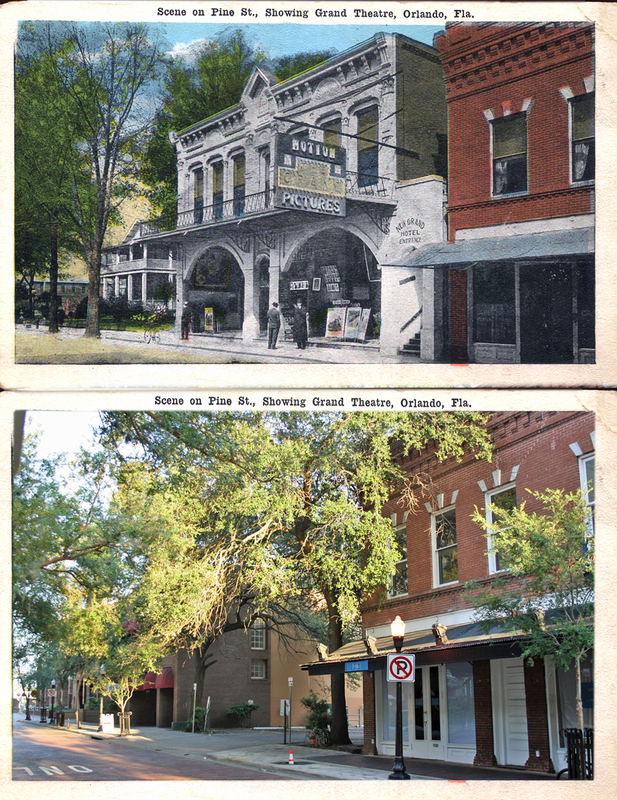 Providing metal works for iron stairs, balconies, trains, and fencing, it grew into one of Orlando’s earliest industries. Mr. Sperry did well for himself. He had a home on East Pine Street and owned property that included the southwest portion of Lake Eola. When he later sold his interest in the machine works, he remained active in the community. 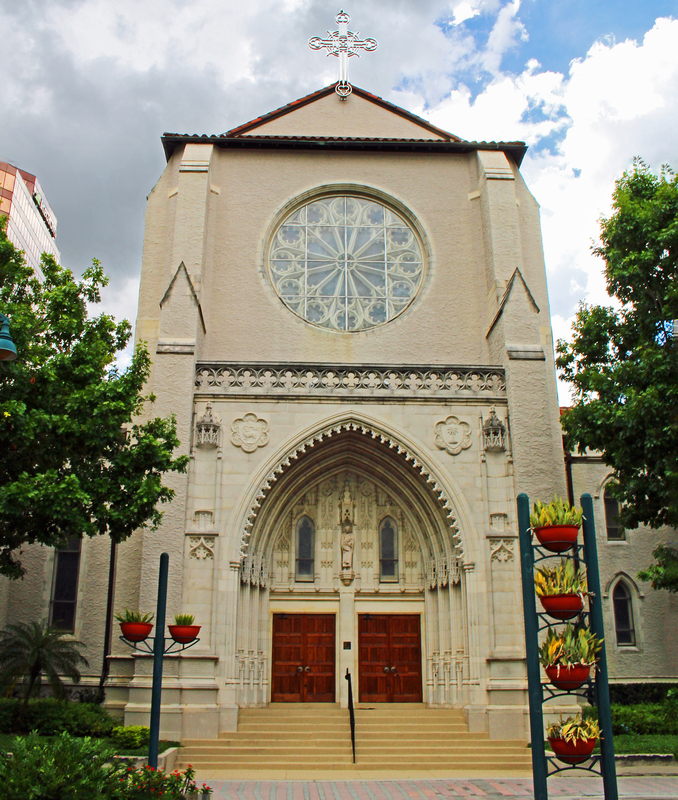 Sperry served on the city commission, the park commission, the Orlando Citrus Exchange (as president), and was a founding member of the First Unitarian Church of Orlando when it started in 1912. A progressive man, Sperry was the first president of the Men’s Equal Suffrage League, which worked to help woman gain the right to vote. His civic involvement led to his election as mayor in 1914. 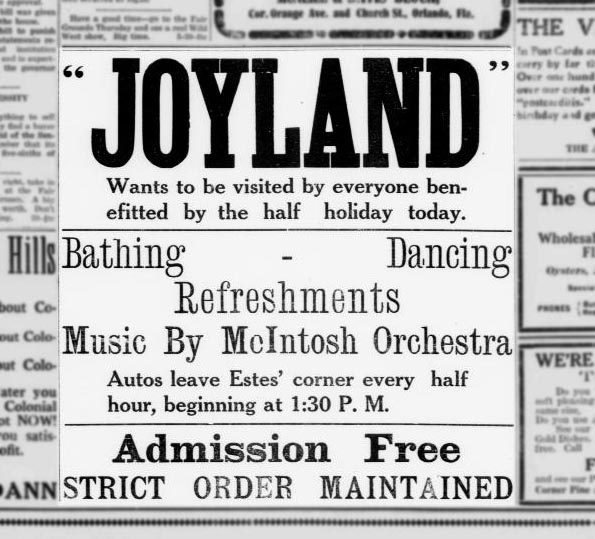 Around this time he donated his Lake Eola land to the city. His property completed the shoreline for our city’s most famous park. (Pioneers Jake Summerlin and J. P. Mussellwhite contributed the rest of property to the city.) Sperry also provided the $2000 for the fountain that bears his name. Sperry never finished his first mayoral term and suddenly passed away in 1916. His legacy continued when his successor, Mayor James L. Giles, continued the fight for women to gain voting rights. Less than three years after Sperry’s death, the City Council voted to amend the city charter allowing women to vote in Orlando. 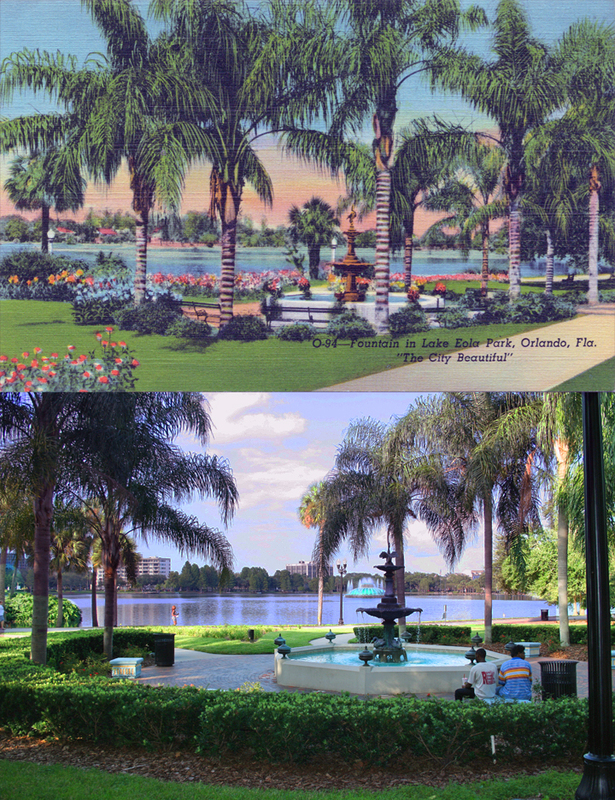 Although the original fountain has been replaced, March 2014 marked 100 years of operation for Mayor Sperry’s fountain.